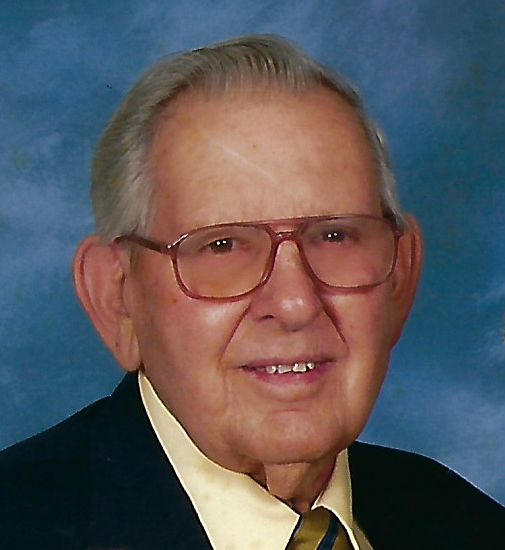 Wilbur Bryce “Bill” Freedman, 90, a long-time farmer of Columbus County from the Western Prong community, died Monday, January 28, 2019, at home following an extended illness. He was born June 16, 1928, the only child of the late Wilmer Wade “Bo” and Brightie Elliott Freedman. He graduated from Whiteville High School in 1945. Bill began his farming career as a young boy working on his parents’ farm who were tenant farmers in the Chadbourn area. His parents purchased their first farm in the Smyrna Community and resided there until moving to their second farm in the Western Prong Community. His parents had planned for him to go to college having saved their cotton for several years to pay the tuition bill, but Bill convinced his parents to sell the cotton and purchase an additional farm. He discovered early in life that farming was his passion, and did so until his early 80’s. Together with his parents and his son Barry, he grew tobacco, corn, soybeans, wheat, cotton, peanuts, strawberries, sweet potatoes, broccoli, beef cows, pigs, and hay. In 1950, the Korean Conflict was a major concern for the country, and Bill felt that it was a young man's duty to serve his country; therefore he volunteered to serve in the U.S. Navy for four years on the USS Osbourn DD 846. In 1960, he married Pearl Watts Freedman and they were blessed with a son William Barry in 1964 and a daughter Ava Michelle Freedman in 1969. Bill not only had a passion for farming but for spiritual/civic service as well. He was a member of Western Prong Baptist Church having served as deacon, choir member and Sunday School teacher. For forty years, he was a Columbus County Supervisor for Soil and Water Conservation. He served both as county chairperson and as district chairperson. He served forty plus years on the Columbus County Farm Bureau Board of Directors. He was a member of the Columbus County Economic Development Commission for 13 years and served as its vice chairman. He was a member of the Whiteville City School Board of Education for eight years. He was awarded the Woodmen of the World Award for Outstanding Conservationist of the Year in 2007. He served many years on the Elections Committee for Brunswick Electric Membership Cooperation. Until his health began to decline, Bill would be found at most political functions, and he actively supported political leaders. He served as the North Whiteville Precinct Chairperson for numerous years. Bill loved people, and he loved to share his views on many topics. Bill is survived by his wife, Pearl Watts Freedman; his son, Barry and wife, Lisa Snyder of the Western Prong Community; and his daughter, Michelle Freedman Luhrs and husband, Michael of Charlotte, NC. Grandchildren include William Rhett, Michael Bryce, and Zachary Grant Freedman of the Western Prong Community and Ava Lauren and Ashley Michelle Luhrs of Charlotte, NC. A funeral service to celebrate his life will be conducted at 2:00 pm Saturday, February 2, 2019 at Western Prong Baptist Church by Rev. Ronnie Wilson. Burial will be in Peacock's Columbus Memorial Park. His family will receive friends 12:30-2:00 pm on Saturday, February 2, 2019 at Western Prong Baptist Church. Memorials may be made to the Veterans Memorial Park of America, INC. PO Box 2046 Whiteville, NC 28472 or to Lower Cape Fear Hospice 206 Warrior Trail Whiteville, NC 28472.